Jason Derulo, Hailee Steinfeld and Sigala, featuring live vocals from Paloma Faith and Ella Eyre, will be joining Dimitri Vegas and Like Mike at this year’s Isle of MTV being held at the Granaries on June 27. Derulo is a US pop and R&B artist who has sold over 30 million singles over the course of a nine-year career, with several hits achieving platinum status. Steinfeld first achieved fame as an actress after she was nominated for an Oscar in the Best Supporting Actress category for her role in True Grit. She signed a record deal following her role in Pitch Perfect 2, with her debut single Love Myself certfied platinum in several countries. British house DJ and producer Sigala rose to fame after his single Easy Love was catapulted to the top of the charts. His debut album is scheduled for release later this year, in July. 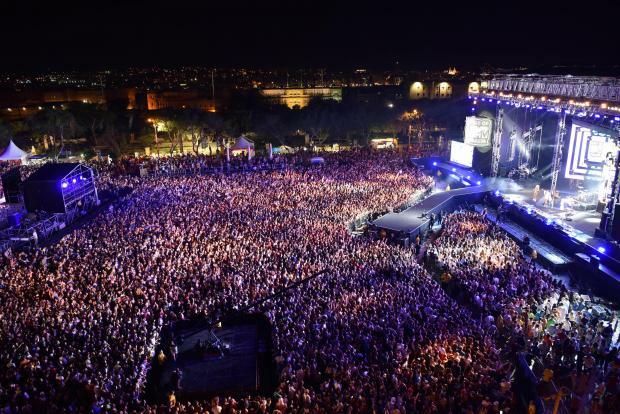 MTA chairman Gavin Gulia said festivals such as Isle of MTV gave music lovers an incentive to visit Malta and specifically attracted younger people, diversifying the country's demographic mix of tourists. Festival tourism, he said, was one of the fastest growing segments in tourism around the world. Dr Gulia reminded fans that this year they were required to register to attend the free festival, now in its 12th year. This would place the authority in much better position to market the festival successfully in future editions. Data would, however, be handled by MTV.